We all want the best for our pets, that's why we spend so much time making sure we're up to date with the latest seasonal topics and making sure our pets are happy and healthy, but have you ever wondered how you can tell if your dog is as healthy on the inside as they appear on the outside? As part of its new 'Parasite Party' campaign, Merial Animal Health has some helpful information to guide you. Here are their top 5 tips to make sure your dog is as healthy on the inside as he is on the outside. The best way to keep your dog safe is to know your dog's enemy, so to speak, so understand the symptoms and impact that can be caused by fleas, ticks and worms. There are many types of worms but the most common are roundworm (also known as Toxocara canis). According to the Parasite Party campaign, up to 30% of dogs and up to 70% of puppies are infested with Toxocara canis. Many dogs don't show signs of illness if they're infected with roundworm, however, dogs with a major infestation, especially puppies, can show digestive signs (such as a potbelly, diarrhoea, vomiting) and even respiratory signs, such as coughing. Fleas are equally tricky little bleeders and are the most common external parasite to affect dogs. Signs of infestation are usually easier to spot than for worms, and include excessive scratching, and biting or nibbling the skin. Fleas are prolific breeders, and flea numbers can explode in the warm spring and summer months when one flea is able to become 1,000 fleas in just 21 days. Fleas seen on dogs represent only a small proportion of their population (5%), the rest lurk as eggs, larvae and pupae (cocoons containing pre-emerged fleas) in our homes – in carpets, between floorboards, in sofas, and in your pet’s bedding. After fleas, ticks are an increasing external parasitic danger to dogs. You may have seen a rising number of reports about Lyme disease and most recently, news about the outbreak of Babesiosis affecting dogs. Ticks are typically 'active' from Spring until Autumn, but with weather and temperature changes across the globe, they are beginning to remain active for longer periods. 2. Prevention is key (for both you and your dog). The best way to keep your dog safe is to prevent and treat. 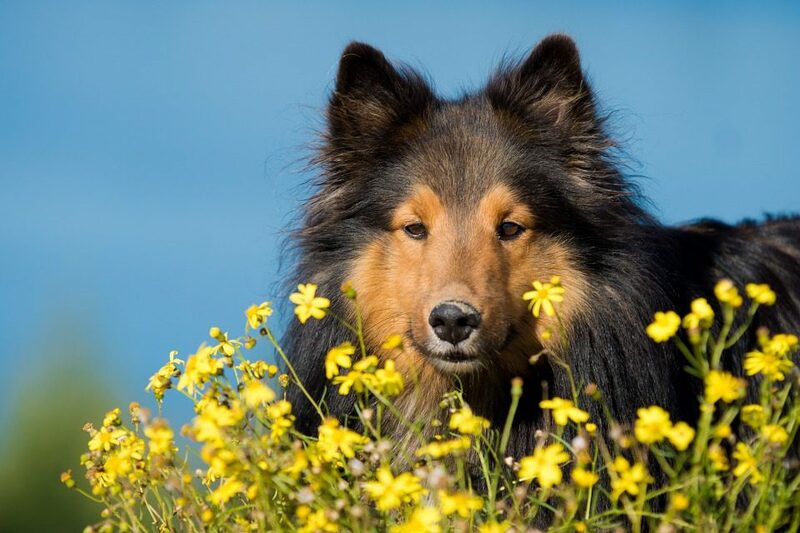 By using preventative treatment regularly you are ensuring your dog's health on the inside and out and any infections they do come by without you knowing will be treated. People can also be bitten by fleas or ticks and could therefore be at risk of infection with diseases such as Lyme disease. Don’t forget to check yourself for ticks after walks. Speak to your vet to find out about recent innovations in parasite control for your pet and if you're worried your dog might be affected, you can take part in the test here to check for signs. 3. Regularly groom your dog. Regular grooming is great for building a bond with a new dog and maintaining one with your dog. It's also a great way to relax for a short while in this busy world and spend some one on one time with no distractions, just you and your dog. Regular grooming also allows you to know your dog's physique so you will be able to spot any signs of change, skin problems or visible signs of parasites, meaning you can treat quicker to bring your dog back to health sooner. 4. Check your dog's weight. Recent research highlighted that the Labrador's genetics are in part to blame for any weight issues. Whether you believe that or not, keeping an eye on your dog's weight can only do them good. 5. Know your dog's reactions. One of the best ways to check your dog's health is to know them. Know their telltale signs and know their normal reactions to events or activities. Sometimes illnesses don't always show through but lay hidden underneath their furry exterior. If your dog doesn't react to your normal action of putting their food down, or getting their lead or toy out for some fun, then you'll know there is something to be concerned about. If you have any worries that your dog is acting unusually for them, then be sure to seek advice from your vet. This article was sponsored by Merial Animal Health.